British-israel.us -- Is the BRITISH Empire a Type of the KINGDOM of GOD? a Type of the KINGDOM of GOD? 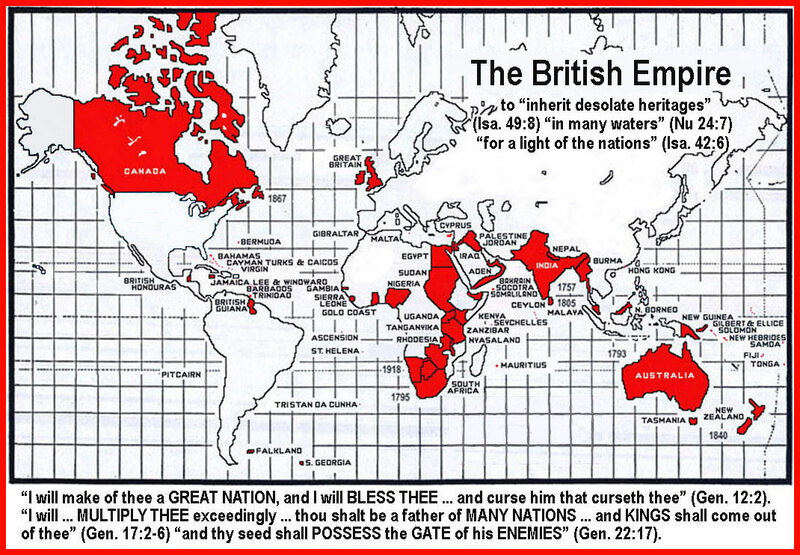 The British Empire foreshadows and typifies the Kingdom of God (Hosea 12:10). Our Lord as Sovereign will sit on the BRITISH THRONE of David (Luke 1:32-33). The immortal saints will be BRITISH -- meaning "Covenant Men" -- in the fullest sense, and will rule with Him (Dan. 7:18-27) as SAXONS because "If you be Christ's, then are you Abraham's seed" (Isaac's or SAXONS -- Gen. 21:12). The "Lion of the tribe of Judah" (Rev. 5:5) will abolish human misrule and establish FAIR PLAY. The BRITISH Empire, as the Kingdom of God, will expand into, and encompass, the WHOLE EARTH. The sun will never set on this glorious empire. 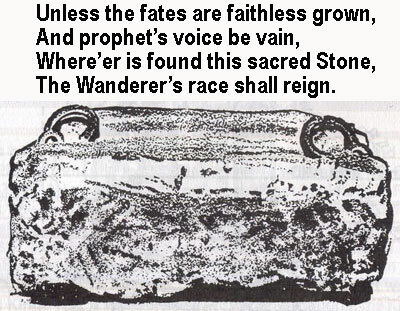 The STONE Kingdom of history, like the Chief CornerSTONE (Eph. 2:20), both "BREAK in PIECES, and CONSUME all these (inferior) kingdoms" (Dan. 2:44). Just as the Common Law of England was founded upon the laws of the BIBLE by King Alfred (849-899), so also "the law shall go forth from Zion" (Micah 4:2) and will be BIBLICAL (Matt. 5:19-20). There will be only ONE universal LANGUAGE (Zeph. 3:9). Prophecy is dual. God "calleth those things which be not (yet fully developed) as though they were" (Rom. 4:17). Christ "came unto his own (JEWS); and his own (JEWS) received him not" (John 1:11). Christ prophesied regarding this nation of Jews by saying "The KINGDOM of GOD shall be taken from you (JEWS in 70 AD), and given to a nation bringing forth the fruits thereof" (Matt.21:43) -- BRITAIN. Jesus declared that many from east and west would “sit down with Abraham, and Isaac, and Jacob, in the KINGDOM of HEAVEN. But the children of the kingdom shall be cast out” (Matthew 8:11-12). The “children of the KINGDOM” may refer to JEWS who could claim David's KINGDOM and Solomon's KINGDOM in their history (both typifying the kingdom of God), but rejected Jesus as the promised KING. "His CITIZENS (JEWS) hated him" but his "TEN SERVANTS" were more profitable (Luke 19:11-27). These "TEN VIRGINS" (Matt.25) or "TEN PIECES of SILVER" (Luke 15:8) or "TEN LEPERS" (Luke 17:12) all refer to the TEN LOST TRIBES. 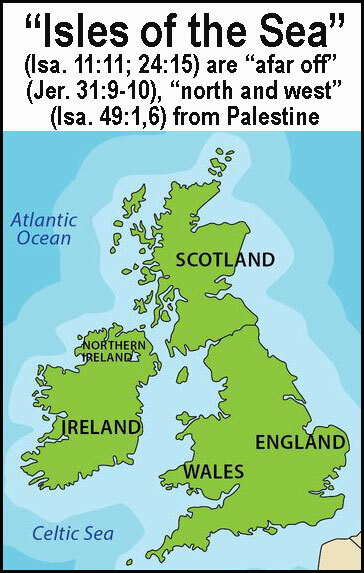 The KINGDOM of GOD -- or BRITISH EMPIRE -- was given to LOST ISRAEL -- His "DOMINION" (Ps. 114:2). Christ said, "Other sheep I have, that are not of this fold (LOST TEN TRIBES); them also I must bring, and they shall hear my voice" (John 10:16). Jesus said, "I am not sent but to the LOST SHEEP of the house of ISRAEL" (Matt.15:24). Israel is "a SCATTERED SHEEP" (Jer.50:17). Christ told his disciples, "go not in the way of the gentiles, and in the cities of the Samaritans enter not, but go ye rather to the LOST SHEEP of the house of ISRAEL" (Matt.10:6). This is the OTHER FOLD "because he would KEEP the OATH which he had sworn unto your fathers (because of their obedience to God)" (Deut.7:7-8; Gen.12:2-3; 22:17-18). We should begin now to submit to His government in our lives knowing that His KINGDOM will soon rule the earth. Its progress among men is silent and gradual like the influence of LEAVEN upon MEAL in which it is placed (Luke 13:20-21) or like the growth of a MUSTARD plant from seed (Luke 13:18-19). The gradual extension of Divine authority over the MINDS of men is done by free will and not constraint. What we do now (Luke 19:11-27 pounds) with what we have (Matt. 25:14-30 talents) in the time we have each been given (Matt. 20:1-16 laborers) determines our reward and position in the future KINGDOM of GOD. We must "keep the commandments of God, and the faith of Jesus" (Rev. 14:12). But how is the BRITISH Empire like the KINGDOM of GOD? 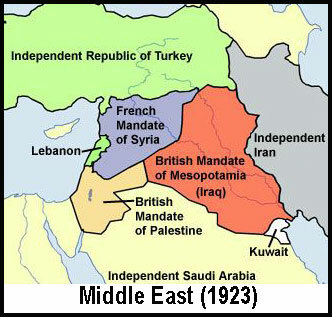 The BRITISH EMPIRE annexed Palestine in 1920. 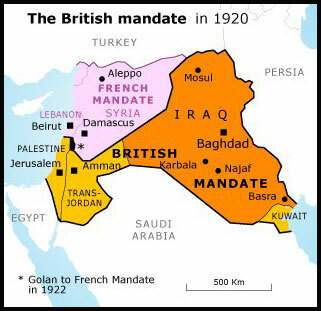 After World War One in 1919, the League of Nations mandated to Great Britain Palestine, Trans-Jordan and Iraq. This "Promised Land" was given "from the River Euphrates even unto the uttermost sea shall your coast be" (Deut. 11:24; Gen. 15:18). By 1921 Faisal was ruling Iraq. "And I will give unto thee, and to thy seed after thee, the land wherein thou art a stranger, all the land of Canaan, for an everlasting possession; and I will be their God" (Gen. 17:8). In 1948, after years of sustained Zionist terrorism, including the massacre of British soldiers when the King David Hotel in Jerusalem was blown up, Britain felt compelled to surrender the League of Nations mandate. "Behold I have taken out of thine hand the cup of trembling (Jerusalem 1948) even the dregs of the cup of my fury, thou shalt no more drink it again. But I will put it into the hand of them that afflict thee (International Zionist finance?)" (Isa. 51:22). The Zionist Jews said to the British, "Get you far from the Lord: unto us is this land given in possession" (Ez. 11:15). But when our Lord returns, He will rule the world from Palestine (Micah 4:2) and Christians will rule with Him (Rev. 3:21; 5:10). The 12 tribes will once again own land in Palestine (Ezekiel 47-48). 2. The British Empire is Ruled By a Christian Sovereign on The Throne of David "and KINGS shall come out of thee" (Gen.17:2-6). 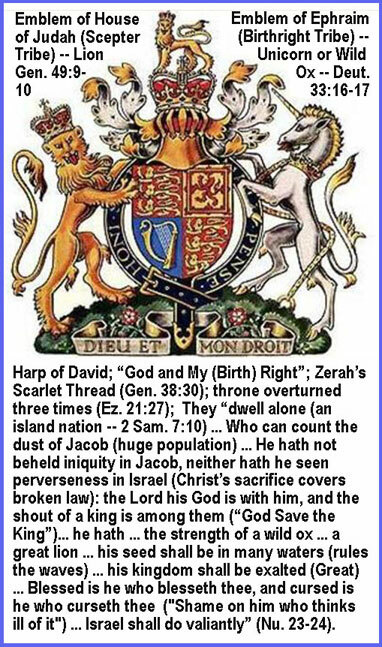 The sovereign of the BRITISH EMPIRE sits on the throne of David. 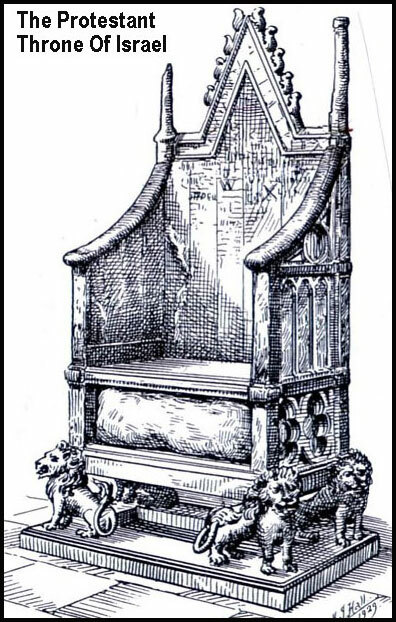 The THRONE of BRITAIN is the oldest in Europe and has preserved the same coronation service as far as records go back from Egferth in 785 A.D. That is for 1215 years. Why so long? Because God said to David, "thy THRONE shall be established FOREVER" (2 Sam. 7:16). Genesis 49:10 says, "The SCEPTER shall NOT DEPART from Judah... until Shiloh ("Peace") come." The Messiah is the "Prince of Shiloh" (Peace) (Isa. 9:6) and hasn't come back yet. The British coronation service is identical to the Bible: anointing with oil (1 Ki. 1:34), crown of pure gold (Ps.21:3), sitting on or "at his PILLAR" (stone) (2 Chr.23:13), presented with a Bible (Deut.17:14), given bracelets of St. George (2 Sam. 1:10), the shout, "GOD SAVE THE KING" (1 Sam.10:24) and an oath (2 Chr.23:16). 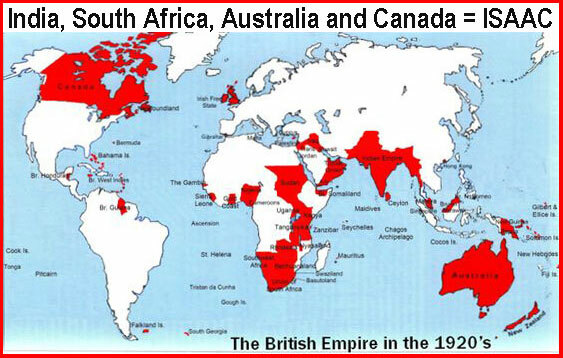 The British Empire (1815-1942) was the largest empire in history, larger even than the Mongol Empire. It ruled the seas, a quarter of the land and a quarter of the people. It was the top power in the world from Napoleon to Hitler from 1815 to 1942. God told Jacob in his vision at Bethel that his seed should spread to the west, est, north and south. Read this in history. WEST -- From Assyrian captivity to British Isles, called the Islands of the west" (Isa. 24:15), Newfoundland 1583, Virginia1584, West Indies 1605 to 1632, Massachusetts 1620, Maryland 1634, New York 1664. Then they swept across continent to Pacific islands. 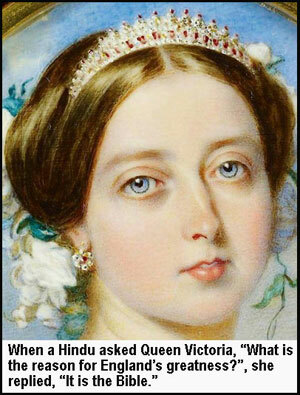 EAST -- Madras 1639, Bombay 1662, Calcutta 1691, Victoria, Empress of India 1876, Murmess Empire 1886. NORTH -- Canada (Hudson Bay Company in 1670) to Alaska and Pacific 1759. SOUTH -- Australia 1787, South Africa 1803, and 1806, Falkland Islands 1833, New Zealand 1841, Fiji Isles (two hundred and fifty) 1874, Egypt 1881, Papua 1884, Transvaal and Orange Colony 1902, Borneo, Jerusalem 1917. "By 1940, Australia (east), New Zealand (east), Canada (north) and South Africa (south) were Dominions. That meant they were no longer ruled by Britain. But they still worked within the empire in matters of trade and war.The war against Hitler left Britain broke and worn out. During the war, its wealth and position transferred to America. New York and Washington have taken the place of London. "Thy seed shall be as the dust of the earth, and thou shalt spread abroad to the west, and to the east, and to the north, and to the south: and in thee and in thy seed shall all the families of the earth be BLESSED." (Gen. 28:13-15). A COLONIZING empire (Cp. Genesis 13:14-16) sailed west to the United States, east to Australia and New Zealand, North to Canada, and south to South Africa and Rhodesia. "Enlarge the place of thy tent, and let them stretch forth the curtains of thine habitations: spare not, lengthen thy cords, and strengthen thy stakes; For thou shalt break forth on the right hand and on the left and thy seed shall inherit the Gentiles" (Isa. 54:2-3). "His seed shall be in many waters, and his king shall be higher than Agag, and his kingdom shall be exalted. God brought him forth out of Egypt; he hath as it were the strength of an unicorn: he shall eat up the nations his enemies, and shall break their bones, and pierce them through with his arrows. He couched, he lay down as a lion, and as a great lion: who shall stir him up? Blessed is he that blesseth thee, and cursed is he that curseth thee." (Num. 24:7-9). "Moreover I will appoint a place for my people Israel, and will plant them, that they may dwell in a place of their own, and move no more; neither shall the children of wickedness afflict them any more, as beforetime" (2 Sam. 7:10). "The children which thou shalt have, after thou hast lost the other (U.S.), shall say again in thine ears, The place is too strait for me: give place to me that I may dwell" (Isa. 49:20). The Industrial Revolution started in Britain, but didn't spread to the rest of its empire. The empire was built on sea trade and sea power. In the 1600s the Spanish Armada was defeated. In the 1800s the British freed the slaves, abolished sati and thuggi, and defeated Napoleon. In the 1900s the British defeated Hitler. They gave to the world the English language, irrigation, capitalism, world trade, the Magna Carta and parliament. They built roads. They united Hindu India and left it in one piece. The British distributed the Bible worldwide. They created the showcase of capitalism, Hong Kong, out of a savage China. Then Hitler and Ghandi brought the empire down. The British invented the Reflecting telescope: Isaac Newton, 1668; Marine chronometer: John Harrison, 1761; Hydraulic press: Joseph Bramah, 1795; the Steam engine: Richard Trevithick, 1801; the Glider: George Cayley, 1804; the Tin can: Peter Durand, 1810; the Modern fire extinguisher: George William Manby, 1818; Electric motor: Michael Faraday, 1821; Waterproof material: Charles Macintosh, 1823; Cement: Joseph Aspdin, 1824; Passenger railway: George Stephenson, 1825; Lawnmower: Edwin Beard Budding, 1827; Photography: William Henry Fox Talbot, 1835; Electric telegraph: Charles Wheatstone & William Cooke, 1837; Chocolate bar: JS Fry & Sons, 1847; Hypodermic syringe: Alexander Wood, 1853; Synthetic dye: William Perkin, 1856; Bessemer process: Henry Bessemer, 1856; Linoleum: Frederick Walton, 1860; Sewage system: Joseph Bazalgette, 1865; Modern Torpedo: Robert Whitehead, 1866; Telephone: Alexander Graham Bell, 1876; Light Bulb: Joseph Swan, 1880; Steam turbine: Charles Parsons, 1884; Safety bicycle: John Kemp Stanley, 1885; Pneumatic tyre: John Boyd Dunlop, 1887; Thermos flask: Sir James Dewar, 1892; Electric vacuum cleaner: Hubert Cecil Booth, 1901; Disc Brakes: Frederick William Lanchester, 1902; Stainless Steel: Harry Brearley, 1913; Military tank: Ernest Swinton, 1914; Television: John Logie Baird, 1925; Catseye: Percy Shaw, 1933; Jet Engine: Frank Whittle, 1937; Electronic programmable computer: Tommy Flowers, 1943; Hovercraft: Christopher Cockerell, 1953; Automatic kettle: Peter Hobbs, 1955; Float Glass: Alastair Pilkington, 1959; Hip Replacement: John Charnley, 1962; Carbon fibre: Royal Aircraft Establishment engineers, 1963; ATM: John Shepherd-Barron, 1967; World Wide Web: Tim Berners-Lee, 1989; and Wind-up radio: Trevor Baylis, 1991. But greater blessings will come in the Kingdom of God: Man's nature will be changed from rebellion (Jer. 17:9) to obedience (Ez. 36:26-27). Highways will be built that are straight and level to permit HIGH SPEEDS -- but NO DRUNK FOOLS will be allowed (Isa. 40:3-4; Isa. 35:8-10). There will be PRIVATE OWNERSHIP of property in the Millenium (Micah 4:4; 1 Ki. 4:25). Ferocious animals will be TAME (Isa. 11:6-7; Hos. 2:18; Ez. 34:25) and poisonous creatures will be HARMLESS (Isa. 11:8). Instead of fiat currency (Haggai 1:6), gold and silver coins will be MONEY (Gen.13:2; 23:16). The Bible word for "money" means "silver." But debased currency is "divers weights" and "divers measures" (Deut.25:13-14). "Thy silver (money) has become worthless, thy wine mixed with water" (Isa.1:22) -- inflated. Instead of genetically modified food, pesticides and herbicides, ORGANIC crops will be the FOOD. Instead of homogenized, pasteurized, rBst milk, everyone will drink RAW MILK. Fluoride will be removed from the water. Instead of drugs, surgery, chemotherapy and radiation, hospitals will prescribe VITAMINS, MINERALS, EXERCISE and SUNSHINE. Hyperbaric chambers will be used. "The eyes of the blind shall be opened, and the ears of the deaf shall be unstopped. Then shall the lame man leap as an hart, and the tongue of the dumb sing" (Isa. 35:5-6). Also "in that day shall thy cattle feed in large pastures" (Isa. 30:23). "And my people shall dwell in a peacable habitation, and in sure dwellings, and in quiet resting places" (Isa. 32:18). Also "there shall be a very great multitude of fish" (Ez. 47:9). ABORTION will no longer be legal (Isa. 11:9). Britain has been a veritable pioneer in works of irrigation, in the Sudan, in Egypt, in India and in Australia. No people have done more to improve land than the British. Great tracts of land have remained unused, unwanted, almost uninhabited until Britain colonized them and expanded. Canada, Australia, South Africa, Guiana, Tasmania, New Zealand, Palestine, Sudan and Kenya. In some instances, notably that of Australia, other nations actually had the opportunity to occupy and develop, but they allowed the chance to pass by, deeming the lands unfruitful and the risk unprofitable (Deut.32:8). Spain, France, Portugal and Holland all cast eyes upon Australia and Tasmania and finding them desolate, concluded they were useless. But today these lands pour forth great volumes of fruit and trade. The 16 dams and seven hydroelectric power stations on the Snowy River irrigate Australia's dry interior producing five billion dollars in crops annually. British engineering works in the Sudan and India have caused it to be possible to grow cotton, rice and fruit where only a few years ago not a blade of grass would grow. The Indus River irrigation canals in Pakistan were built largely by the British. One of the two great dams at Assouan and Assiout in Egypt is more than a mile long. The British spent seventy-five million dollars in dams on the great rivers of Euphrates and Tigris to make those valleys once more granaries of the world. When the colonial expansion of the British took place in the 18th and 19th centuries, the colonists found in the United States, Canada, India, South Africa and Australia vast areas of desolate wilderness. But Moses said of Joseph, "Blessed of the Lord be his LAND ... blessed of the Lord for the precious FRUITS and for the precious THINGS of the EARTH and fulness thereof" (Deut.33:13-16). How could the desolate deserts be transformed into productive farmland? Isaiah 41:18 answers, "I will open RIVERS in high places and FOUNTAINS (Artesian Wells) in the midst of valleys; I will make the wilderness a POOL of WATER, and the dry land SPRINGS of WATER" (cp. 43:20; 51:3). Isaiah 54:1-3 says, "more are the children of the desolate wife (exiled Israel) than the children of the married wife (Judah) saith the Lord ... make the desolate cities to be inhabited." "And they that shall be of thee shall build the old waste places" (Isa.58:12). These prophecies have been partially fulfilled in the transformation of these wildernesses into productive farmlands by means of SPRINKLERS, DRIP IRRIGATION, WELL-DRILLING and RESERVOIRS made by DAMS and CANALS that pipe and channel the water into FURROWS between rows of crops. Israel was to colonize the "WASTE PLACES" of the earth (Deut. 32:7-9, 29; Isa. 58:12) and RESTORE ancient places (Isa. 58:12; 61:4). Isaiah 49:8 says Israel would "inherit DESOLATE HERITAGES." Numbers 24:7 says Israel will "pour the WATER out of his buckets." "And the remnant of Jacob shall be in the midst of many people like DEW from the Eternal, like SHOWERS upon the grass" (Micah 5:7). Israel "fills the world with FRUIT" (Isa.27:6) by making the land PRODUCTIVE. At the Second Coming, "his feet shall stand in that day upon the mount of Olives, which is before Jerusalem on the east, and the mount of Olives shall cleave in the midst thereof toward the east and toward the west, and there shall be a very great valley; and half of the mountain shall remove toward the north, and half of it toward the south. ... and the Lord my God shall come, and all the saints with thee.... And it shall be in that day, that LIVING WATERS shall go out from Jerusalem; half of them toward the former sea, and half of them toward the hinder sea: in summer and in winter shall it be" (Zech. 14:4-8) "and everything shall live where the river cometh" (Ez. 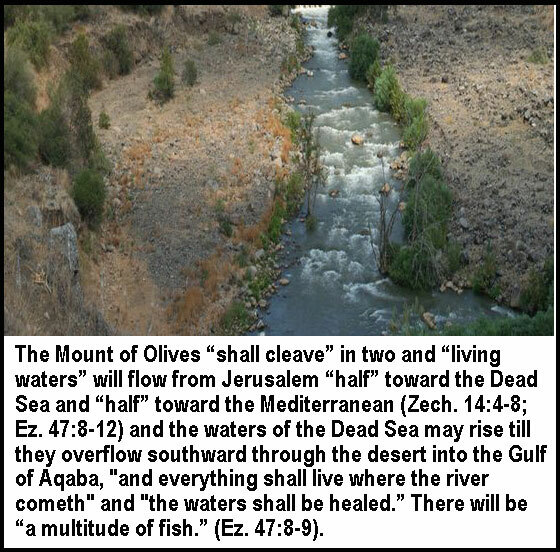 47:9) and "the waters shall be healed" (Ez. 47:8). A canalcould now easily be cut thru low land to the Mediterranean. A connection can easily be made to the Persian Gulf also. So a new water highway is destined to be made between Mediterranean abd Indian Ocean. Jerusalem will become a seaport and capital of the world. The waters of the Dead Sea are now very salty. No plant or marine life can exist in it. "The WILDERNESS ... shall be GLAD ... and the DESERT shall REJOICE, and BLOSSOM like the ROSE" (Isa. 35:1) and "the DESOLATE land shall be TILLED." (Ez. 36:34). "I will even make a way in the wilderness, and rivers in the desert ... to give drink to my people" (Isa. 43:19-20). "I will open RIVERS in high places, and FOUNTAINS in the midst of valleys; I will make the wilderness a POOL of WATER, and the dry land SPRINGS of WATER. I will plant in the wilderness the cedar, the acacia tree, and the myrtle, and the oil tree; I will set in the desert the fir tree, and the pine, and the box tree together" (Isa. 41:18-19). "Thou art my battle axe and weapons of war: for with thee will I break in pieces the nations, and with thee will I destroy kingdoms" (Jer. 51:20). Jesus said, "the KINGDOM OF GOD shall be taken from you (Jews of Palestine who reject me as Messiah), and given to a nation (the "Lost Ten Tribes of Israel" in Britain) bringing forth the fruits thereof. And whosoever shall fall upon this STONE shall be broken, but on whomsoever it shall FALL, it will grind him to powder" (Matt. 21:43-44). "No weapon formed against you shall prosper" (Isa. 54:17). (German zeppelins and submarines, stukas and rockets). Daniel 2:44 says, "And in the days of these kings shall the God of heaven set up a KINGDOM which shall never be destroyed: and the KINGDOM shall not be left to other people (or be conquered by another nation), but it shall BREAK in PIECES, and CONSUME all these kingdoms, and it shall stand forever." When Philip II learned of the Spanish Armada catastrophe, he declared, "I sent the Armada against men, not God's winds and waves". Karl Marx wrote, "ENGLAND seems to be the ROCK against which all revolutionary waves are broken." Napoleon said, "If it were not for ENGLAND I would conquer the world." Fascist Benito Mussolini complained in 1938 that "Italy has no FREE ACCESS to the oceans; she is actually a PRISONER ... The bars of that PRISON are Corsica (Fr. ), Tunisia (Fr. ), Malta (Br.) and Cyprus (Br. ), and its guards are Gibraltar (Br.) and Cyprus (Br.)." ABRAHAM is the heir of the WORLD (Rom. 4:13). "And the STONE that smote the image became a great mountain (Great BRITAIN) and filled the EARTH" (Dan. 2:35). Therefore, the world-ruling STONE empire has to be ABRAHAM'S descendants. "Thy SEED shall inherit the Gentiles" (Isa. 54:3). The British East India Company came to India to trade for spices, not to conquer. They found India already fragmented politically with a multitude of Muslim Sultans and Hindi Rajahs. This greatly facilitated the growing influence of the British. Clive simply helped whichever warlord was willing to help him. Local rulers fought eachother endlessly. But the British brought stability and religious tolerance. They left local rulers in place, with all their privileges and wealth intact. 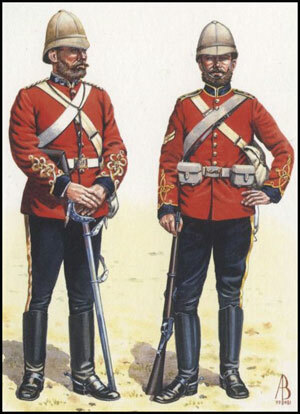 The British East India Company regularly used native Indian troops (sepoys). 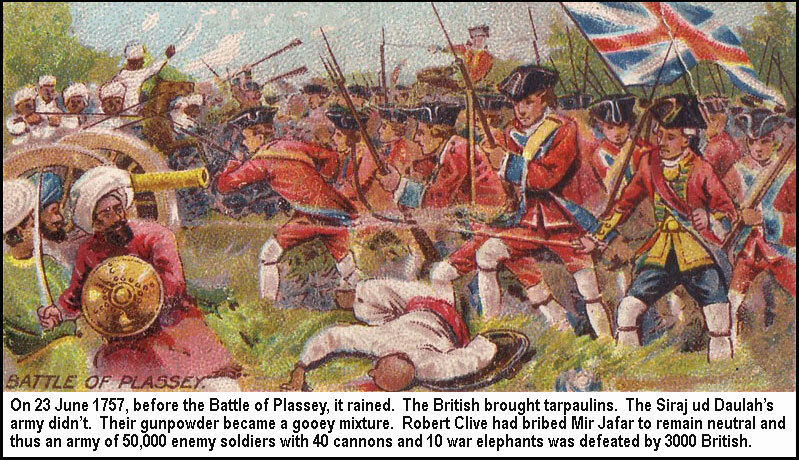 The Battle of Plassey pitted a mere 750 British against 62,000 Indians in 1757. How did the British manage to be victorious? Just before the battle it RAINED. The British brought tarpaulins which kept their gunpowder dry. Siraj ud Daulah's army forgot their tarpaulins and their gunpowder became gooey and USELESS. They charged thinking the British suffered from the same handicap and were mowed down. Colonel Robert Clive had earlier BRIBED Mir Jafar to keep the majority of Indian troops out of the battle which he did. In this way, the Battle of Plassey became a British victory. Which nations preach Christ the Redeemer to the rest of the world? The British Empire and the United States of America. They are the Protestant nations of the world. They "GLORIFY" the "REDEEMER." Their greatest BLESSING to the rest of the world has been their UNIQUE commitment to printing the BIBLE in every language of the world and distributing it. "The Britons are contrary to the whole Roman world, and enemies to the Roman customs, not only in their MASS, but in their TONSURE" (Bede in 740 A.D.). Roman Catholic nations consider the Bible DANGEROUS. In 1563 the Council of Trent's list of "FORBIDDEN books" included the English BIBLE. A Roman Catholic bishop's PERMISSION was NEEDED to purchase or read even a Latin Bible. Nevertheless, Christ prophesied that "this GOSPEL of the kingdom shall be preached in ALL the WORLD for a witness unto ALL NATIONS" (Matt.24:14). This has happened today. The original disciples in the first century were too few, too poor and too persecuted to preach worldwide. That may be why Christ told them to "go not into the way of the Gentiles." Yet "God is no respecter of persons; But in EVERY NATION he that feareth him, and worketh righteousness, is accepted with him" (Acts 10:34). We "should not call ANY MAN common or unclean" (Acts 10:28). The Torah was revealed in SEVENTY LANGUAGES, not just one (Seifre, Dent. , Friedman, 14) and the giving of the Holy Spirit was also accompanied by MANY LANGUAGES, not one (Acts 2:4). 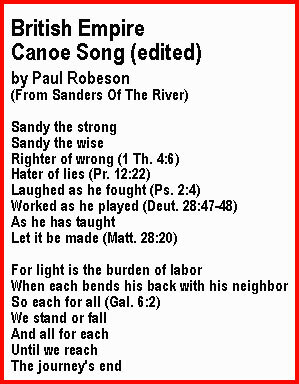 Yes, "in thy SEED (Jesus the Messiah) shall ALL families of the earth be BLESSED" (Gen. 28:14). "I will send those who escape of them unto the nations ... who have not heard my fame, neither have seen my glory; and they shall declare my glory among the nations" (Isa. 66:19). MISSIONARIES. Stratford Canning, English ambassador to Turkey, in 1844 single-handedly studied the Koran to disprove the notion that it required death for converts to Christianity. He caused the nation of Turkey to repeal the automatic execution of Muslim apostates to the Christian faith. "But ye shall be named the PRIESTS of the ETERNAL; men shall call you the MINISTERS of our GOD" (Isa.61:6). King Alfred (849-899 A.D.), the first king of all England, founded the Common Law of England upon the laws of the Bible. Alfred himself also translated the Holy Scriptures into Anglo-Saxon -- and he also knew that the Anglo-Saxon peoples were Israel because he said to his subjects: "Be ye kind to the stranger within thy gates, for ye were strangers in the land of Egypt" (Ex.22:21; 12:38,48,49; Lev. 19:33-34). John Wycliffe translated the Old and New Testaments from Latin to English in the 1380s. William Tyndale, in the early 1500s, translated the Old and New Testaments from their original languages into English. 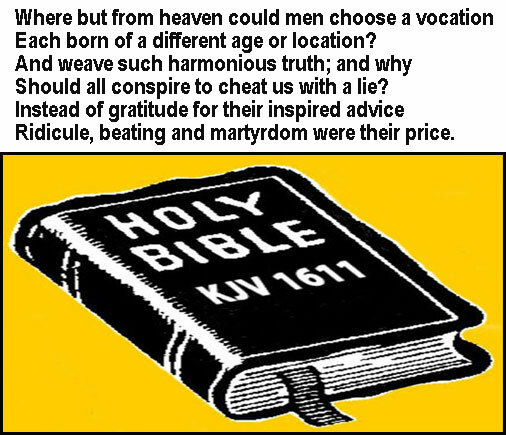 John Knox, John Wesley, David Livingstone, Roger Williams, Cotton Mather and Dwight Moody taught the Bible. "He showeth his WORD unto Jacob, his STATUTES and his JUDGMENTS unto Israel. He hath not dealt so with any nation; and as for his JUDGMENTS, they (other nations) have not known them" (Ps.147:19-20). "You only have I KNOWN of all the families of the earth" (Amos 3:2). "This people have I formed for myself; they shall SHOW forth my praise" (Isa.43:21). "Ye are my WITNESSES, saith the Eternal, that I am God" (Isa. 43:12). "My WORDS which I have put in thy mouth, shall not depart out of thy mouth, nor out of the mouth of thy seed, nor out of the mouth of thy seed's seed, saith the Eternal, from henceforth and forever" (Isa.59:21). "All thy children shall be taught (margin "disciples") of the LORD" (Isa. 54:13; John 6:45). "It shall come to pass that, in the place where it was said unto them, Ye are not my people (called Gentiles), there it shall be said unto them, Ye are the SONS of the living GOD" (Christians) (Hos. 1:10). "They shall REMEMBER ME in far countries" (Zech. 10:9). "The people that walked in darkness have seen a great LIGHT ... The Lord sent a WORD into Jacob" (Isa. 9:2,8). " I will pour my SPIRIT upon thy seed" (Isa. 44:3). "The Lord hath REDEEMED his servant Jacob" (Isa. 48:20) without money (Isa. 52:3) under a New Covenant (Jer. 31:31) where Jesus confirmed the promises made to the fathers (Rom. 15:8) and didn't abolish the law (Matt. 5:17-18). Israelites "find GRACE in the wilderness" (Jer. 31:2). The Lord is called "the REDEEMER of ISRAEL" (Isa.49:7) because his blood paid for our sins. "For the transgression of my people (Israel) was he stricken" (Isa.53:8). "He shall REDEEM ISRAEL from all his iniquities" (Ps.130:8; Luke 1:68; 24:21). Once this happens, we become CHRISTIANS. "Thou art MINE" (Isa.43:1). "Listen, O ISLES, unto Me; and hearken, ye people, from far ... Thou art my servant, O ISRAEL, in whom I will be GLORIFIED ... It is a light thing that thou shouldest be my servant to raise up the TRIBES of JACOB, and to restore the preserved of ISRAEL: I will also give thee for a LIGHT to the Gentiles, that thou may be my SALVATION unto the ends of the earth ... I will preserve thee, and give thee for a covenant of the people (BRIT-AM), to establish the earth" (Isa.49:1-8; 42:6). Joseph was meant "to PRESERVE many people ALIVE" (Gen. 50:20) -- a prophecy for the U.S. and Britain. In the resurrection, Christians will be "PRIESTS: and we shall REIGN on the earth." (Rev. 5:10) "If ye will OBEY my voice ... ye shall be unto me a kingdom of PRIESTS and an HOLY nation" (Ex.19:5-6). "Happy art thou, O Israel: who is like unto thee, O people SAVED by the Lord" (Deut. 33:29). "But Israel shall be SAVED in the Lord with an EVERLASTING SALVATION ... In the Lord shall all the seed of Israel be JUSTIFIED, and shall GLORY" (Isa. 45:17,25). "And He will destroy in this mountain the face of the covering cast over all people, and the veil that is spread over all nations" (Isa. 25:7) of ignorance and error. Godless EVOLUTION will no longer be taught in schools. The BIBLE will be the primary school textbook. FALSE RELIGION will fade away. "Thy teachers [shall not] be removed into a corner anymore, but thine eyes shall see thy teachers: and thine ears shall hear a word behind thee, saying, this is the way, walk ye in it, when ye turn to the right hand, and when ye turn to the left" (Isa. 30:20-21). People will be re-educated. "The earth shall be full of the knowledge of the Lord as the waters cover the sea" (Isa. 11:9). God said to Abraham, "Thy seed shall POSSESS the GATE (or "gates" -- Fenton) of his enemies" (Gen.22:17) . The blessing to Rebekah the wife of Isaac was, "Let thy seed POSSESS the GATE of those who hate them"(cp.24:60). This prophecy may refer to CONTROL of the SEA which is one common GATE or door to the nations of the world. The ancient meaning is illustrated by Xenophon's "Anabasis" which describes the "GATES" of Syria and Silicea as being two FORTRESSES at the ENTRANCE of the territory. France and Egypt completed the Suez Canal at an expense of $130 million. It proved no great financial success. The toll was so high it cut off patronage. The English had no stock in this enterprise. They opposed the project, calling it a grand swindle. In 1875 the owners needed money so much that they were ready to sell chief interest in it for $20 million. They wired to the Jewish premier Disraeli of England to purchase it. In two days Hebrew capitalists secured the money. Thus, without the wisdom of the English, an unseen Providence handed them the key to commerce and dominion of Egypt and the Orient. Under English control it soon became a source of great revenue. Priceless. Opposite the narrow strait of Bab el Mandeb is Perim, where the channel is favorable for ships. The French coveted this and in 1856 sent an Admiral there to take it. He tarried over night at Aden, and half intoxicated, said to the English Governor: "Tomorrow I will take possession of Perim, and erect a French fort." As he retired the Governor sent a message to a British warship in the harbor: "Get up steam with all speed and plant the British flag on Perim." When the French Admiral arrived he exclaimed "Curse those British, their flag is everywhere." Thus oft by peaceful measures, God turns the gates of the world over to Abraham's seed. On seven separate occasions between 1713 and 1728 the British government proposed to exchange Gibraltar for concessions from Spain. But on each occassion the proposals were vetoed by the British Parliament following public protests. Gibraltar is less than two miles square, and honeycombed with fortifications. Operating in darkness and silence, Wolfe landed British naval forces near Quebec on 13 Sept. 1759 who scrambled up a cliff. By 8 am, 4,500 British had assembled on the Plains of Abraham. Montcalm's men began firing 120 meters from the British line. The British waited till the French were 40 meters away before firing. French retreated and Quebec was taken by the British. If the French had won, Catholicism would be the religion of Canada. "Thy GATES shall be open continually; they shall not be shut day nor night; that men may bring unto thee the forces (or wealth, raw materials, foodstuffs) of the Gentiles, and that their kings may be brought" (Isa.60:11). At the height of Britain's glory, she owned the Rock of Gibraltar (1704), Ceylon (1795-1948), Cape of Good Hope (1795), Malta (1800-1964), Singapore (1819-1963), Falkland Islands (1833), Aden (1838-1967), Hong Kong (1841-1997), Suez Canal (1876-1956), Cyprus (1878-1960), Perim Island (1857) and Socotra (1886-1967) in the Red Sea, Constantinople (1918-1922) and the English Channel while the United States gained possession of Hawaii (1898), the Philippines (1899-1946) Puerto Rico (1898) and the Panama Canal (1904-1999). "His seed shall be in many WATERS" (Num.24:7). British India's Khyber Pass could be considered a LAND GATE. Israel was prophesied to have COLONIES in all parts of the world and dominion over vast territorial POSSESSIONS (Deut.11:23-25; 32:8; Isa.54:1-3; Isa.58:12). Ephraim and Manasseh especially (Deut.33:17). But these gates are being lost. Why? Leviticus 26:18-19 says, "And if ye will not yet for all this hearken unto me, then I will punish you seven times more for your sins. And I will BREAK the pride of your power." But "Blessed are they that DO HIS COMMANDMENTS, that they may have right to the tree of life, and may enter in through the GATES into the city" (Rev. 22:14) in the Kingdom of God. Jesus taught, “Not everyone who says to Me, 'Lord, Lord,' will enter the KINGDOM of HEAVEN, but he who does the will of My Father who is in heaven” (Matt. 7:21). Paul said that “flesh and blood [mortal human beings] cannot inherit the KINGDOM of GOD” (1 Cor. 15:50). "My kingdom is not of this world" (John 18:36). It is SPIRITUAL. "Except a man be born again, he cannot see the KINGDOM of GOD" (John 3:3). Paul reminded the Galatians that the wicked “shall not inherit the KINGDOM of GOD” (Galatians 5:21; cf. Ephesians 5:5). “Know ye not that the UNRIGHTEOUS shall not inherit the KINGDOM of GOD” (1 Cor. 6:9). “We [Christians] must through much tribulation enter into the KINGDOM of GOD” (Acts 14:22). Christians have not yet entered that Kingdom. Those who intend to be citizens of the KINGDOM of GOD must make it the top priority of their lives. Jesus told us not to worry about physical things, but instead to “seek first the KINGDOM of GOD and His RIGHTEOUSNESS, and all these things [food, drink, clothing] will be added to you” (Matthew 6:33). Anyone truly seeking the KINGDOM of GOD will fully submit to the RULE of God now. "Because strait (SMALL) is the GATE, and NARROW is the WAY, which leadeth unto life, and few there be that find it." (Matt. 7:14). OBEDIENCE to the BIBLE is the GATE into the KINGDOM. 9. The British Empire is The Fifth STONE Kingdom "Cut Out Without Hands" (Dan. 2:45). The BRITISH Empire with its Coronation STONE became the STONE Kingdom, the FIFTH world empire after Babylon, Medo-Persia, Greece, and Rome, both pagan and papal. 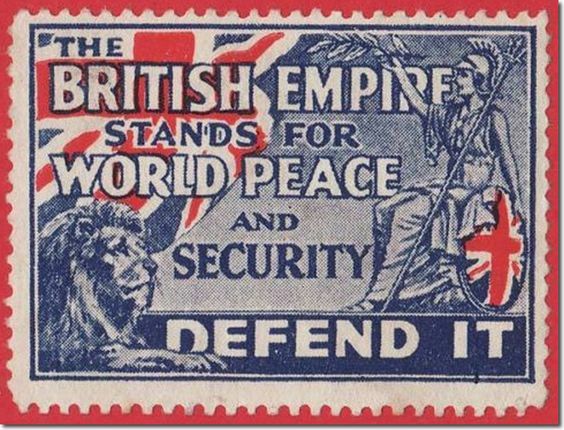 After the "seven times of the Gentiles," in 1936 the BRITISH Empire was eight times the area of the previous Roman Empire which had been the largest of the four Gentile empires. The Union Jack flew over one quarter of the land surface of the earth and governed one quarter of the world's population -- it filled the whole earth -- the sun never set on the BRITISH Empire. The Roman Empire could have been put comfortably inside Australia. Babylon was 605,000 square miles. Medo-Persia was 1,360,000 square miles. Greece was 1,757,000 square miles. Rome was 2,375,000 square miles and the BRITISH Empire was 16,769,000 square miles. If the BRITISH Empire is not the STONE Kingdom, then why didn't Daniel see this largest-of-all empires as part of the statue? Does it make sense that the BRITISH Empire would not be mentioned in the Bible when all the other lesser empires of the world have been mentioned? Israel was to grow up to become the FIFTH or STONE Kingdom in ignorance of her origin and destiny (Dan. 2:44; Rom. 11:25). Certainly Bible prophecy wouldn't ignore the BRITISH EMPIRE which -- with the United States -- ruled one third of humanity, when prophecy mentions SMALLER empires such as Babylon, Medo-Persia, Greece and Rome. Since the BRITISH are not any of these four empires, but came AFTER all of them, they must be the FIFTH STONE kingdom that rules the world. Christ our Lord is "the STONE which the builders rejected" (Ps. 118:22) that will become the Chief "CORNERSTONE" of the KINGDOM of God. When our Lord returns, His KINGDOM will already be prepared, and "God will give Him the THRONE OF HIS FATHER DAVID; and He will reign over the house of Jacob forever, and His kingdom will have no end" (Luke 1:32-33). Where is the Throne of David today? In BRITAIN. The BRITISH EMPIRE will once again expand to include more and more colonies, protectorates and lands -- including Palestine. The CAPITOL will be transferred from LONDON to JERUSALEM and will take on a Jewish flavor as the whole world turns toward our Lord and the Bible. As truly as the four kingdoms (Babylon, Medo-Persia, Greece and Rome) were material, human kingdoms, so surely is the FIFTH STONE Kingdom a real material kingdom ruled over by kings, and made up of men -- until the resurrection. There is CONTINUITY between the Old Testament KINGDOM of ISRAEL and the future KINGDOM of GOD. Jesus’ disciples expected the risen Lord to “RESTORE the kingdom to Israel” -- just as it had been in the days of King David or King Solomon. But when Jesus said the Kingdom “is AT HAND" (Mark 1:15) and “has come NEAR you” (Luke 10:9, 11) and "the kingdom of God has come UPON you.” (Matthew 12:28; see also Luke 11:20) and "the kingdom of God is WITHIN you” (Luke 17:19-21), he was referring only to His presence as KING. The term “WITHIN” is better rendered “AMONG,” or “in the MIDST OF.” The Kingdom was in the MIDST OF (not within) the Pharisees because the KING of that Kingdom stood IN THEIR MIDST. Yeshua (Joshua) said, "I will come again" (John 14:3) with armies (Rev. 19:14) as a parallel to Joshua's conquest of Canaan and rule all nations with a rod of iron (Rev. 19:15) on this earth (Rev. 5:10) from Jerusalem (Jer. 3:17). This time the whole world will be that Promised Land. "Racist" is the charge used against those who believe in British Israelism. But even this false accusation is a fulfillment of prophecy. Specifically, "How long will ye turn my glory into shame?" (Psalm 4:2) As Galatians 3:29 says, "And if ye be Christ's, then are ye Abraham's seed, and heirs according to the promise." Abraham's seed are known as SAXONS. Therefore, the Chinese and Eskimos and Indians and Africans can all become SAXONS by simply becoming Christians. "Under it shall dwell all fowl of every wing" (Ez. 17:22-24).